Use a work-appropriate email address (not something like catlover@yahoo.com). Turn off your ring relay and make sure your telephone voice mail greeting is appropriate for employers to hear. If you choose to put an Objective at the top of your resume, make sure it is specific and focuses on what you can do for them in addition to what you want for yourself. If you just say “To obtain an accounting job” you are being redundant – they already know that. This is the first thing they will read, so take this opportunity to sell yourself! Tailor your resume & especially the cover letter to the job/internship. Emphasize the skills, experience, and education most important to the particular position for which you are applying. Use the same keywords and concepts that appear in the job/internship announcement. Highlight results and accomplishments. Include as much information as possible about specific skills and don’t list too many general or “soft skills” (like good communicator and detail-oriented). Instead, provide an example that illustrates how you apply these skills. Technology and language are increasingly important in all fields, so definitely list your computer skills and language abilities. Concise: Use clear, concise words. Eliminate words such as articles (a, an, the) and personal pronouns (I, my). Use perfect grammar, spelling, and punctuation. Proofread it before sending it to anyone, and have a friend, family member, or Specialist in the Bellevue College Center for Career Connections proofread it before sending it to an employer. If you need help with grammar, visit the Bellevue College Writing Lab. Education Details: Provide some detail about what specifically you’re learning in school. 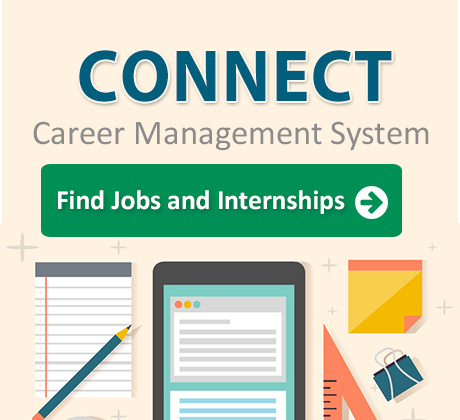 You can’t assume employers know exactly what you’re studying, and if they’ve posted a job on the school’s web site, they’re likely looking for students or recent graduates with current skills – so give them a few names of the most relevant classes you’ve taken (not course numbers), and provide your GPA if it’s over 3.5. When writing about past jobs, don’t simply provide a list of duties, and don’t keep repeating the same things if you’ve done the same or similar tasks for each employer. Instead, give information about what you accomplished, how you excelled, and how others noticed your exceptional qualities. Provide 3-4 bullets (not paragraphs) that briefly explain these results. Especially highlight things that can be quantified, such as “Increased traffic from Google 230%, decreased ad spending 40%”. If you have more information to provide, save it for your LinkedIn account or online resume. Do NOT include your home address on your resume. Because we live in such a large metropolitan area, many times employers will make judgments based on where you live. If they think your commute would be too long, they might not even consider hiring you. Your commute is your decision, so we recommend that you not even give them that option. Plus, people don’t often mail things anymore. If they want to contact you to schedule an interview, they just need your phone number and/or email address. Don’t include references, and don’t say “References Available upon Request.” Employers know this and expect you to provide them if they request it. Don’t include irrelevant information. Don’t list hobbies or personal information such as date of birth or marital status. If you absolutely must include information about hobbies, make sure it’s relevant and explain how it’s relevant. Also, eliminate any outdated technical or business skills. Employers are most interested in what you did recently. If you have a long career history, focus on the last 10 to 15 years. If your early career is important to your current goal, briefly mention the experience without including details.